We have heard “food is medicine” which is very true, but can such a thing exacerbate certain health conditions such as inflammation and worsen pain? Yes, it can happen due to the presence of pain receptor stimulating compounds found in certain food items. We don’t mean to say such pain-causing foods are totally bad, but they can cause such effect when consumed in high quantities. Moderate to low amounts are harmless. Listed here are few foods that one should avoid when in chronic pain. Sugary foods increase blood sugar levels quickly. High blood sugar means your body would need to secret more insulin to bring the blood sugar within normal ranges. High insulin levels are not good for people with chronic pain as it can worsen inflammation and pain. In some cases, overproduction of insulin might result in insulin resistance too. Hence avoid sugary food and increase the intake of natural sugars by eating fresh fruits and veggies. White flour is a highly processed food and is not good for health as it contains zero nutritional value. Moreover, it contains gluten in high quantity, which can trigger inflammation and pain. When you consume white flour, which is nothing but carbohydrate, it gets immediately converted to sugar, which is again worse for chronic pain. 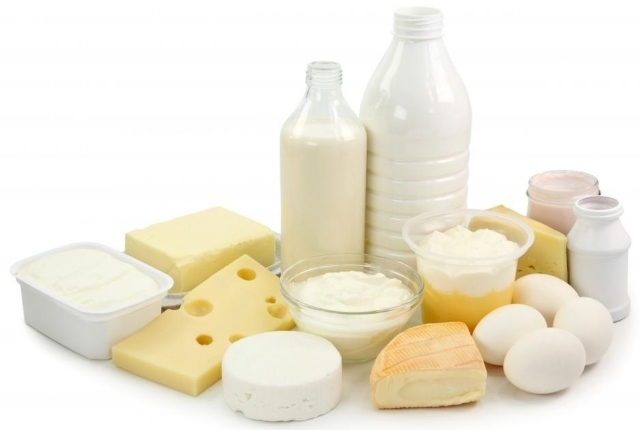 Dairy products contain casein, a protein which can aggravate painful conditions and increase inflammation. In addition, lactose found in dairy products cannot be digested easily by many people. So, when people with irritable bowel syndrome and Crohn’s disease consume dairy products, it can exacerbate related pain. One more study says that dairy protein can worsen arthritic pain. Artificial food flavors, preservatives and colors are added to improve taste and presentation of food items, but anything artificial is not good for health. They can trigger pain receptors and aggravate pain and inflammatory conditions. For example, nitrates, nitrites, MSG, etc can cause inflammation, headache, nausea and low energy. Caffeine can provide the desired energy to run the day initially, but when you take too much of it in the long run, it can affect your sleep and mood. Furthermore, when sleep gets affected, it increases painful conditions and gives you restless nights. You need to limit or if possible completely avoid fast food when you suffer from chronic pain. Besides contributing to weight gain, junk food may compromise immune system, disturb sleep habits and irritate your muscles. Our body needs omega-3 as well as omega-6 fatty acids in the ratio of 1:1. However, our diet consists of these fatty acids in the ratio of 1:15. Fried foods are usually fried in oils that are high in omega-6, so it is best to avoid these food items. High levels of Omega-6 are pro-inflammatory and leads to chronic pain and inflammation. Also known as ‘partially hydrogenated’ or ‘hydrogenated’ fats, Trans fat are unsaturated fats, which are chemically modified in order to increase their shelf-life as well as turn them into solids at room temperature. They are modified under high pressure and by making use of hydrogen gas and hence not fit for human consumption. Besides increasing LDL cholesterol, the Trans fats are also responsible for reducing HDL (good cholesterol), increase abdominal fat and lead to various health issues. Trans fats might increase inflammation and overall discomfort and pain in the body. Foods that come in package, box, cans, etc. must be avoided if you have chronic pain and inflammation. This is because processed foods contain pain causing ingredients like high level of omega-6, trans fats, artificial chemicals, gluten etc.